A breakneck game about irritable ghosts wreaking havoc on haunted hotels, paranormal guests, and each other. Join a party of poltergeists as they rampage through underworld-renowned resorts from which they can never escape. 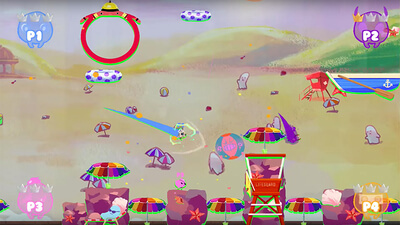 Monster mash with up to four players and have the time of your afterlife. 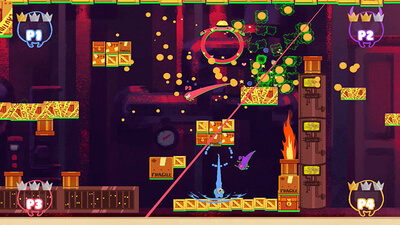 All told, EctoPlaza is a simple and wonderfully crafted couch multiplayer game. All of our complaints ultimately boil down to the fact that we just wish there was more of it; much of this game is ripe for expansion and feels a bit unfulfilled as a result. That being said, what is here is a joy to play, and we would recommend it to anyone who has a group of friends that still like to get together from time to time for a game night. 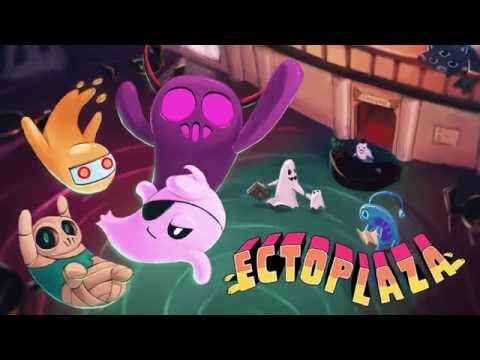 Ectoplaza does a great job of offering a competitive and easy to pick up multiplayer experience, and it's one that no social Wii U owners will want to miss out on.